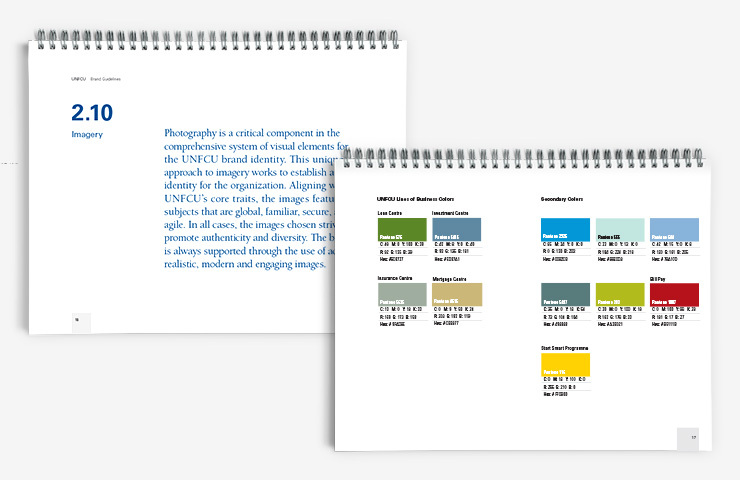 With members in more than 210 countries and territories and member assets of $3.2 billion, the United Nations Federal Credit Union (UNFCU) is one of the most dynamic financial services cooperatives in the world. 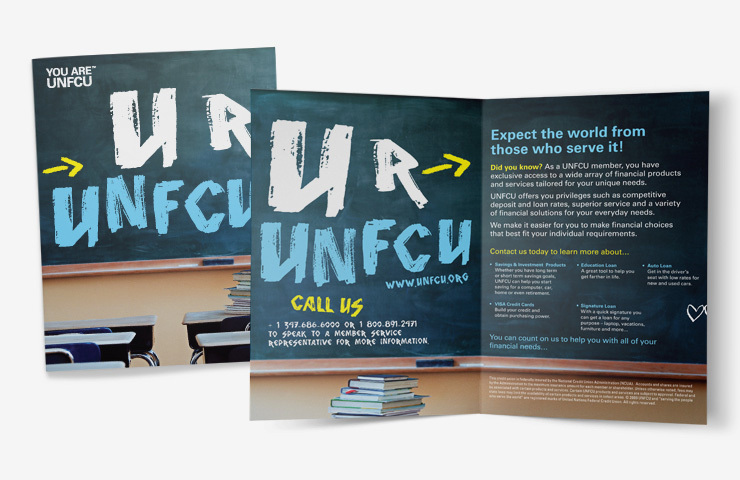 To refresh its brand identity to align with its multinational financial services offering and highly diverse membership base, UNFCU sought the expertise of IridiumGroup. Our team emphasized a more human, emotional appeal for members, who currently number more than 100,000 worldwide. 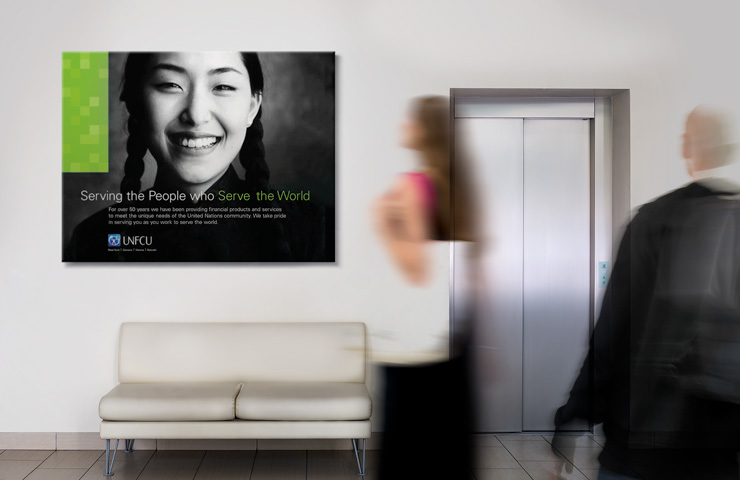 By incorporating distinct visual concepts and ideals reflecting partnership and community, IridiumGroup ensured that UNFCU conveyed its global, secure, agile, and familiar presence. 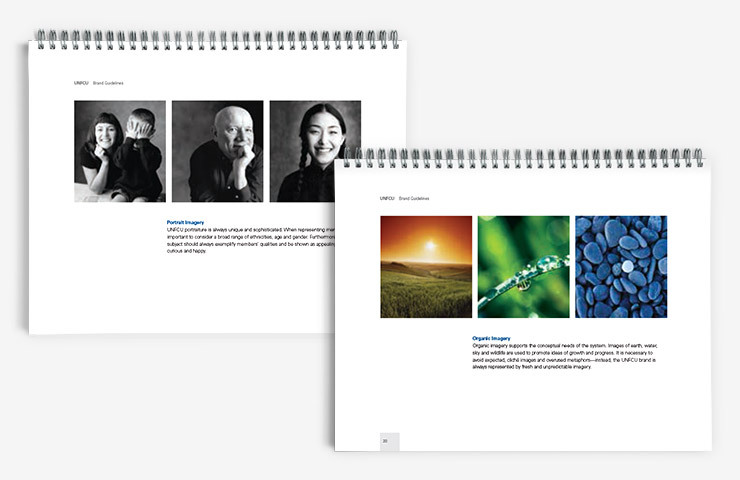 IridiumGroup uncovered ways to more effectively communicate the variety of product and service offerings, highlighting the unique benefits available to UNFCU members. The agency achieved a primary goal of differentiating UNFCU from traditional banks, promoting the advantages of community and the exclusivity of membership. The new brand stretched across a myriad of channels: Visual merchandising, promotional literature, and corporate collateral. 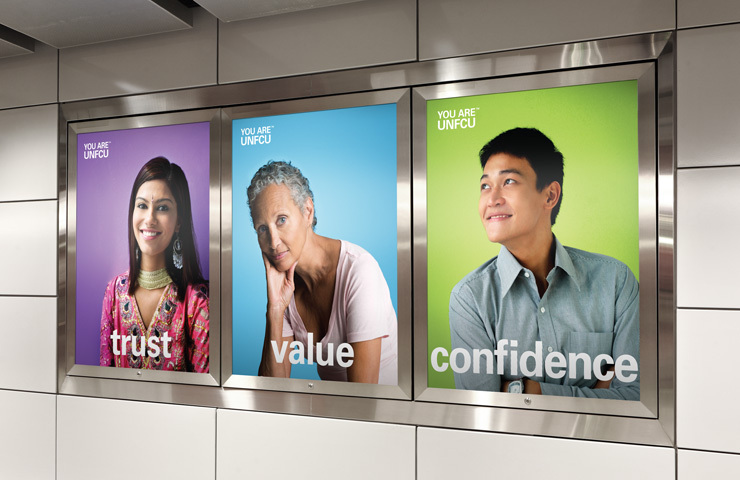 Additionally, IridiumGroup designed and implemented specific in-branch and in-representative office signage, fixtures, and standing kiosks for UNFCU locations in New York, as well as in Geneva, Nairobi, Vienna, and Rome. 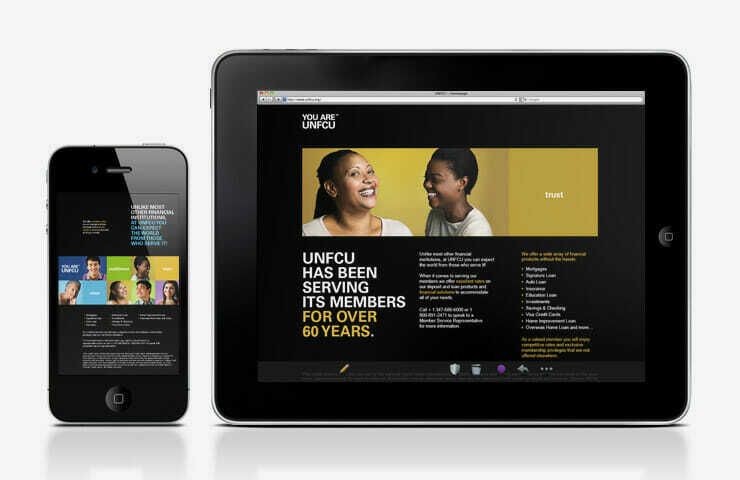 IridiumGroup continues its close partnership with UNFCU via collaboration on international campaigns that include an array of printed and digital/interactive initiatives. 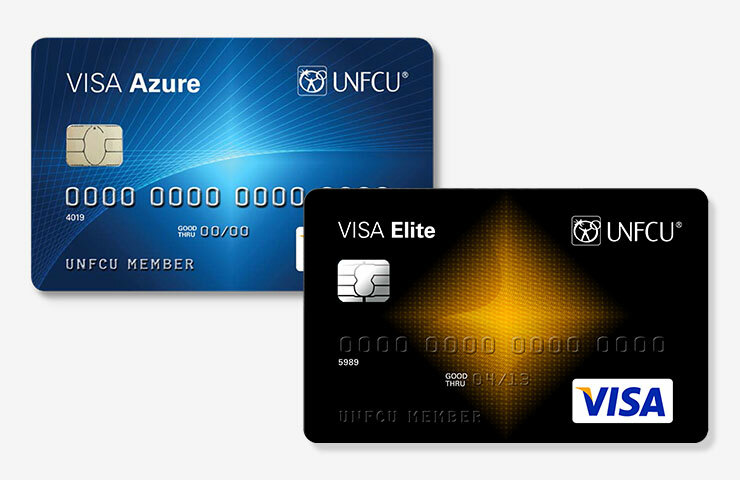 When it recently became the first U.S. issuer of a high-security Chip and PIN credit card, UNFCU looked no further than IridiumGroup to design its VISA® Elite Card.